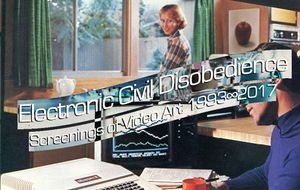 A screening of video art based on the practice of curator Kathy Rae Huffman–a pioneer of media art, cyberfeminism, net.art, broadcast and television art–whose collection of rare books and catalogues is held at Res. TV or Not TV concerns mass media’s effects on consciousness and formations of identity. The participating artists appropriate mass-media technologies towards various ends: Paper Tiger Television establishes independent public access television as a critique against the commercial media industry, Guillermo Gómez-Peña stars in a guerrilla television performance piece in an act of electronic civil disobedience and Danielle Dean uses the language of over 50 years of water and toothpaste company advertisements to explore the rhetoric around purity and whiteness. 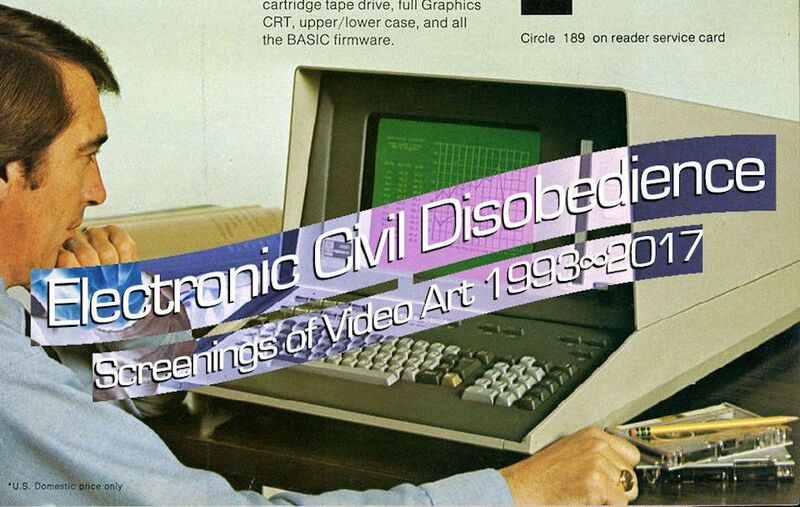 TV or Not TV is the first of two screenings in the 'Electronic Civil Disobedience: Screenings of Video Art 1993∞2017' programme. The second screening 'Phobias and Fantasies' is on 9th July.